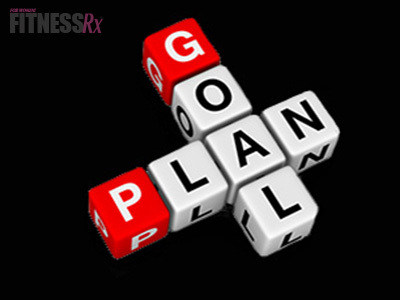 FitnessRX for Women > Life & Health > Healthy Mind > Are You Making SMART Goals? Are You Making SMART Goals? Prepare yourself for your next accomplishment! Specific. Be sure to clearly identify your goal! Not just, “At some point in my life I want to run a half-marathon.” Instead specify, “In six months, I want to be prepared to run a half-marathon.” Setting up a date, clarifying your goal, and telling others will DEFINITELY help hold you more accountable to your goal! It also helps setting up the short-term goals to get to your long-term goal! Measurable. Make sure it is a maintainable goal! Being too hard on ourselves is a lot easier than it seems! Slow and steady wins the race. Make sure it can be reached within a reasonable time frame :) When you measure your progress, you stay on track! Achievable. For your goal to be achievable, you must be WILLING and ABLE to achieve the goal you set. When planning your next big venture, be sure to push yourself, but make it attainable! Sometimes setting high goals motivates us MORE because we then work HARDER for it! Relevant. Make sure your goal is a meaningful goal, and it is important to YOU. Make sure this is YOUR goal and you are doing it for you! Otherwise, it’ll never get done, or it won’t be done with all your heart. Making sure there is some motivation or a cause behind your goal truly helps both mentally and physically! Time-Bound. Be sure to put a time frame on your goal… this way, we know how to set up smaller goals in between! The time frame is a tool to help us to stay FOCUSED on our goal! Without a time frame, there is no urgency. Set up a time frame and get goin’!